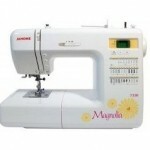 Janome is another top brand, sometimes not as well-known as Singer and Brother. 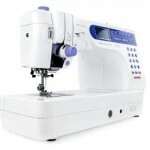 You need to check out these sewing machines if you have not heard of this brand before. We review the top-rated Janome sewing machines that have many happy owners. Learn about the positives and negatives of each of these models by reading our reviews. We also take a look at the important features. Review: Janome 8077 Computerized Sewing Machine- The Janome 8077 computerized sewing machine is a perfect tool for beginners. With 30 built in stitches it can make your sewing experience both easy & an absolute joy. It’s not just a great sewing machine in terms of its features & other things, but it is also a great machine in terms of its looks. It’s simply a masterpiece when it comes to looks. Review: Janome Memory Craft 6500P Sewing Machine- In every industry there is a product that is deemed “the best” or “market leader.” It's no different when you are talking about sewing machines. 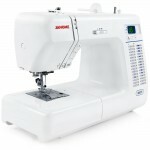 There is one model that gets called “the best sewing machine” more than any other model, and it's name is the Janome Memory Craft 6500P Sewing Machine. 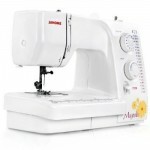 Review: Janome Magnolia 7318 Sewing Machine- Whether you like to simply do a bit of sewing in your spare time or spend your days doing professional sewing work, you know the importance of having a high quality sewing machine. 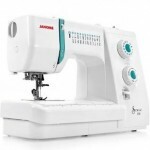 Janome knows a thing or two about high quality sewing machines too, and they've really impressed a lot of people in the industry with the release of their Janome Magnolia 7318 Sewing Machine. Review: Janome Sewist 500 Sewing Machine- If you enjoy sewing, you know how important it is to have a reliable, easy-to-use sewing machine to work with. One of the most popular sewing machines, with sewing fans of all levels of experience, is the Janome Sewist 500 Sewing Machine. Review: Janome 7330 Magnolia Computerized Sewing Machine- Janome is a company that professional seamstresses and hobbyists regularly turn to when they need sewing machines that are a step up from other models. The Janome 7330 Magnolia Computerized Sewing Machine is a perfect example of just why people trust Janome when the time comes to buy a new sewing machine. 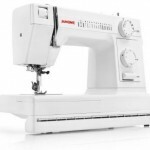 Review: Janome HD1000 Heavy-Duty Sewing Machine- If you've been sewing for any amount of time, you've probably seen some of the nice sewing machines that Janome has to offer. They are very well known for making affordable, high-end sewing machines, and their Janome HD1000 Heavy-Duty Sewing Machine is in keeping with their established notoriety.